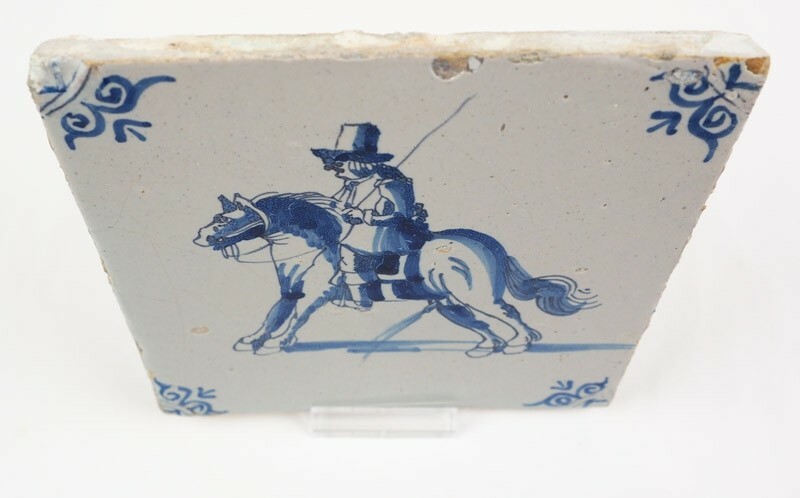 This is a fun and rare antique Delft tile. 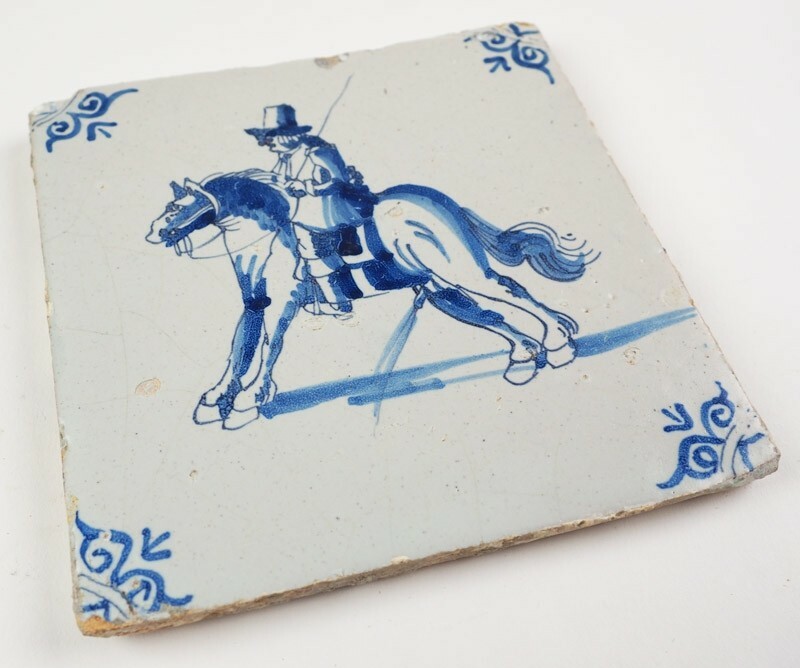 The horserider has no choice but to wait for the horse to empty his bladder. 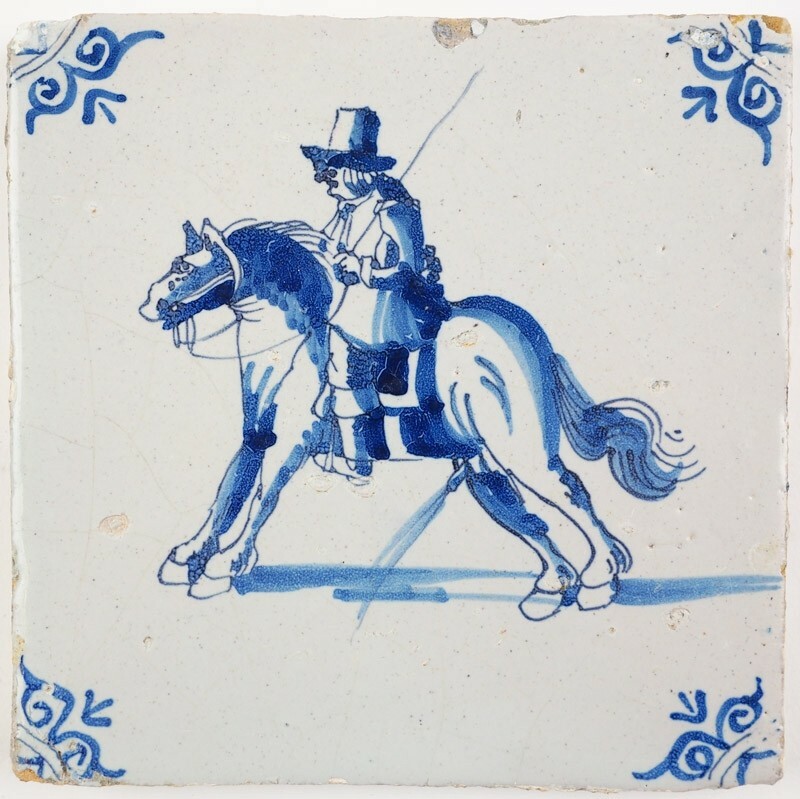 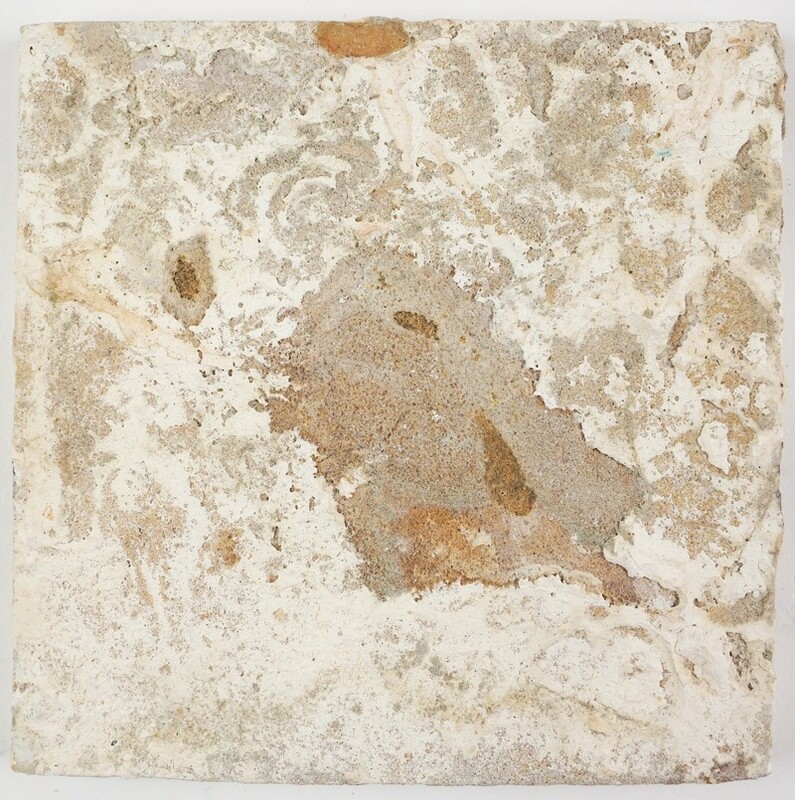 The tile was made around 1660 and is in a wonderful condition with just a few minor chips along the sides. It is decorated with 'ox-head' corner motifs.